At first I was a little worried about the author's sanity. I mean, why would any library lucky enough to have a cat send it away? And what is Michael Kelley going to do with all of the cats that show up at his place? After I read the article, I learned that they just want photos and stories--and boy oh boy, do I have lots of those! Library Journal, for those of you who don't have a human who works in the library biz, is a magazine that shows up a couple of times a month. As you can see in the picture, it makes a really nice place to sit. It also has articles about libraries and books and library people and all of that stuff. Edge-of-your seat reading, second only to Cat Fancy. Lots of pictures, too! 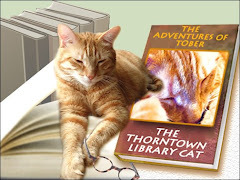 Well, apparently the very wise Mr. Kelley has decided that LJ (that's snazzy-speak for Library Journal) needs to get with the program and feature some Library Cats. I am composing my brief bio this week. PS: This Saturday, June 8, is our Summer Reading Kickoff Day! Come by from 10:00am to noon and sign up for summer programs and enjoy snacks and activities! At 10:30 am there will be a very special "Can You Dig It?" animal program presented by the fine folks from ANIMALIA. Stop by and join in the fun! It sounds like your fame is about to spread, Tober. 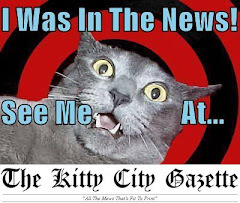 Be kind to all the other library cats, though, and give them a few lines in Kelley's column, too. We just know you will be featured in that magazine, Tober! Good luck! Oh, we definitely want to read your feature, Tober! You're going to be famous. 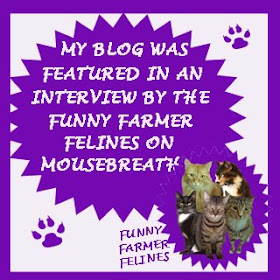 dood...ya gotta post yur interviews when ya iz published in de magazeen !!! N if they ask ya ta wear a tie sew noe. next thing ya noe it will be pants two !! 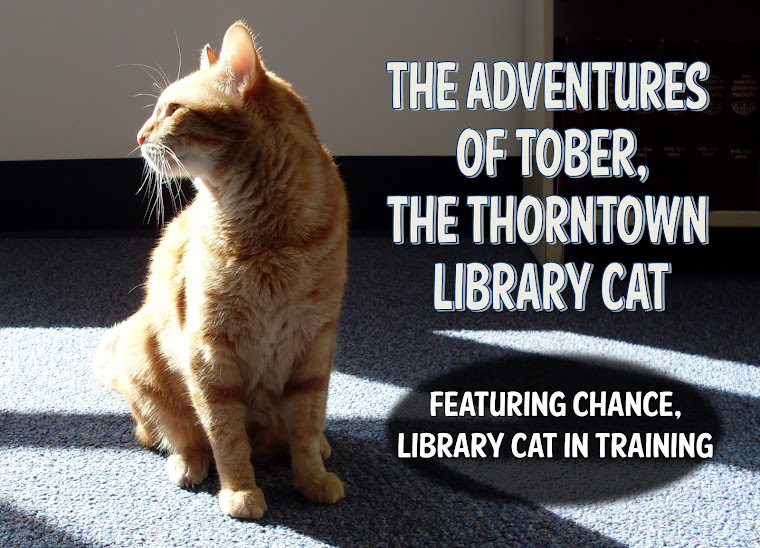 Tober, you are the POSTER KITTY for library cats! LJ should be honored to feature you. I would question his sanity if he didn't feature you! Tober, we can't wait to see you in LJ! After you're featured in LJ, there should definitely be a movie in the works for you, Tober. So cool! We can't wait to see you featured in the LJ!!! Tober, we hope they make you a star!